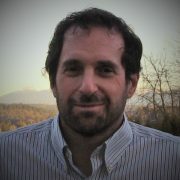 Josh Benaloh is Senior Cryptographer at Microsoft Research, an Affiliate Faculty Member of the Paul G. Allen School of Computer Science and Engineering at the University of Washington, and spent 17 years on the Board of Directors of the International Association for Cryptologic Research. He earned his S.B. degree from the Massachusetts Institute of Technology and M.S., M.Phil., and Ph.D. degrees from Yale University where his 1987 doctoral dissertation, Verifiable Secret-Ballot Elections, introduced the use of homomorphic encryption to enable end-to-end verifiable election technologies. Dr. Benaloh’s numerous research publications in cryptography and voting have pioneered new technologies including the “cast or spoil” paradigm that brings voters into the election verification process with minimal burden. He has served on the program committees of dozens of cryptography and election-related conferences and workshops and is a frequent speaker on the history, development, and mechanisms behind verifiable voting. He also served on the National Academies of Science, Engineering, and Medicine Committee on the Future of Voting — whose 2018 report Securing the Vote — Protecting American Democracy — has been widely cited in both academic literature and public deliberations. Among other side interests, Dr. Benaloh recently completed two years as chair of the Citizen Oversight Panel for the Seattle region’s Sound Transit agency that is currently investing about $1 billion per annum in improving the region’s mass transit infrastructure. He has also authored numerous puzzles used in a variety of Seattle-area puzzle competitions. I have been with the Microsoft Corporation since 1994. I earned an S.B. in Mathematics from MIT in 1981, an M.S. and M.Phil. in Computer Science from Yale University in 1985, and a Ph.D. in Computer Science from Yale University in 1987. I was a postdoctoral fellow at the University of Toronto from 1987 through 1990, and an assistant professor at Clarkson University from 1990 through 1994.